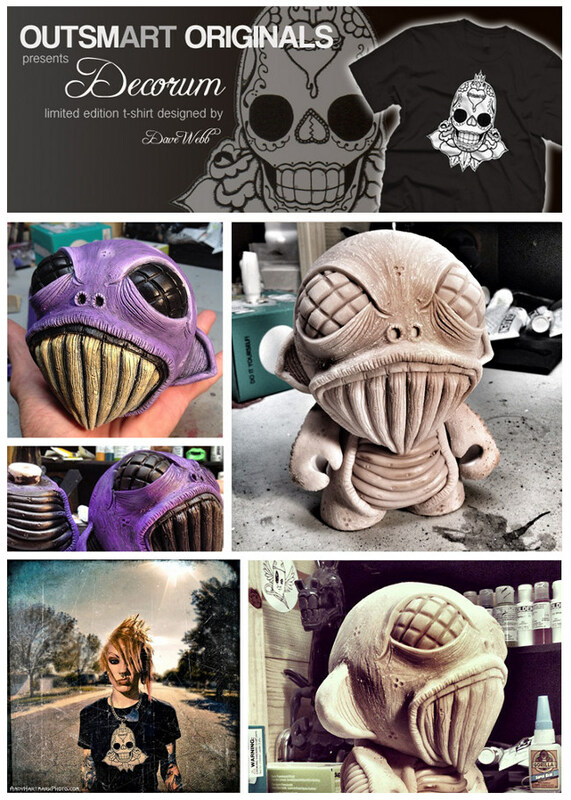 February 2013 - The final days are here to reserve your Decorum T-Shirt by Dave Webb and be automatically entered for a chance to win this original customize 7 inch Munny! The artist decided to show his appreciation to fans for supporting the release of his t-shirt design by creating this exclusive piece as an outsmART originals promotion. Fans were treated to sneak peeks of the development of this custom over the last two weeks via Twitter and Facebook. outsmART originals is proud to be associated with another artist who's talents in the 3D art toy world has made him a force to be reckoned with. We look forward to more collaborations and amazing giveaways as we continue to release new t-shirt designs from globally talented artists such as PO!, DGPH, Frank Mysterio and many more to come. March 2012 - In promotion for the launch of the comic book Waking Wally Street #1, Rocketboy Customs will be holding two raffles. One for a customized dunny & one for a customized mini munny. 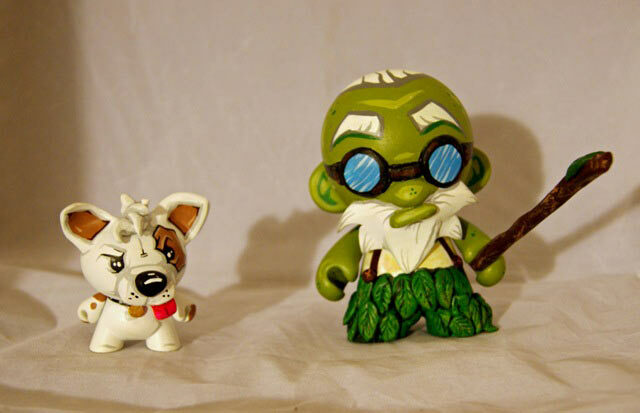 The Prizes consist of Spudz (dog dunny) and Jack Henderson (mini munny). Both characters appear in the first issue of Waking Wally Street and are hand-painted & sculpted by Ryan McClure (Rocketboy Customs). Once you place an order, your name will automatically go into the raffle and the winner will be drawn at random. If you order more than one comic, your chances of winning increase! The winner will be announced once the shipment of comics arrive from the printers (projected first week of April).